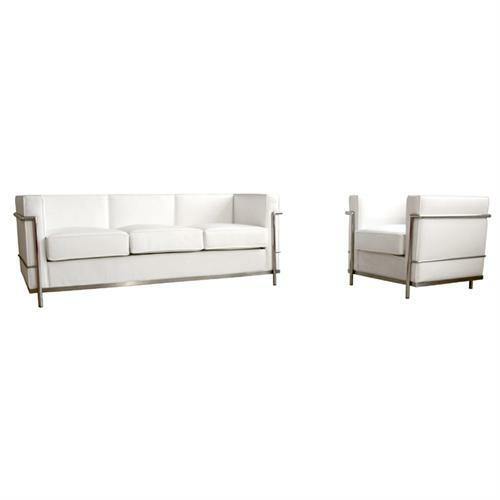 More on the Wholesale Interiors Le Corbusier Petite White Leather Sofa Chair Set (White) 610-SET-WHITE below. Wholesale Interior's Le Corbusier-style White Leather Sofa Set includes one sofa, one chair and adds elegance to any room. 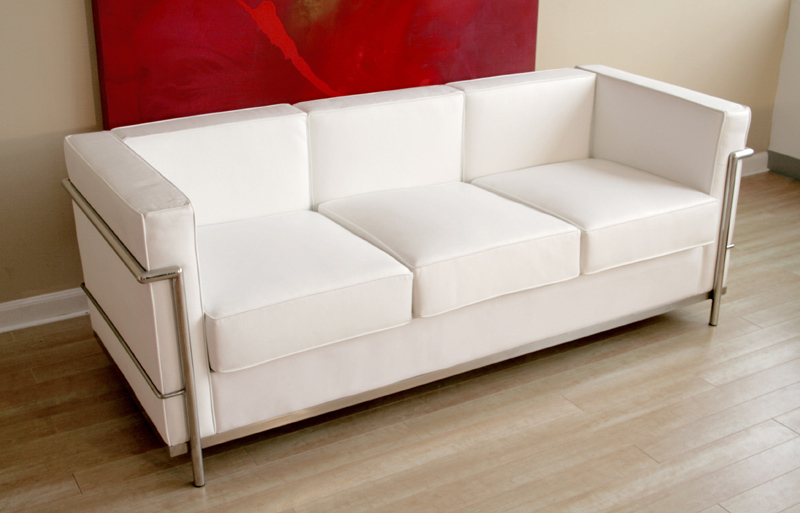 Le Corbusier-style White Leather Sofa made with a sturdy stainless steel frame. 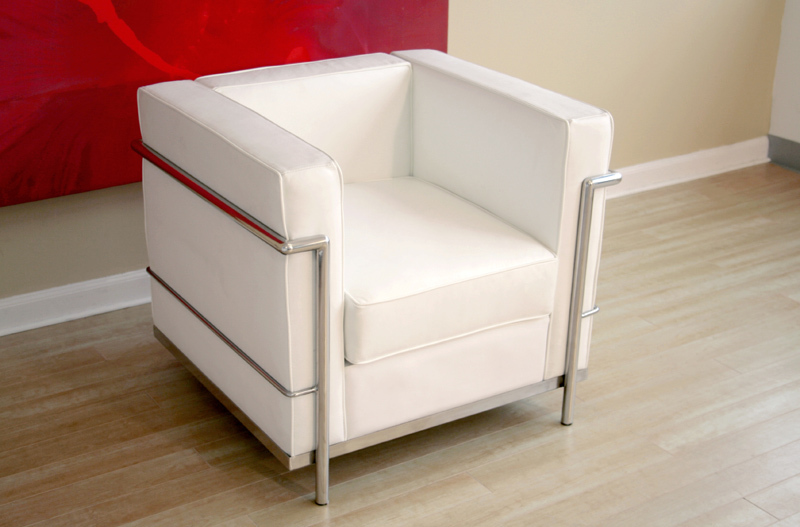 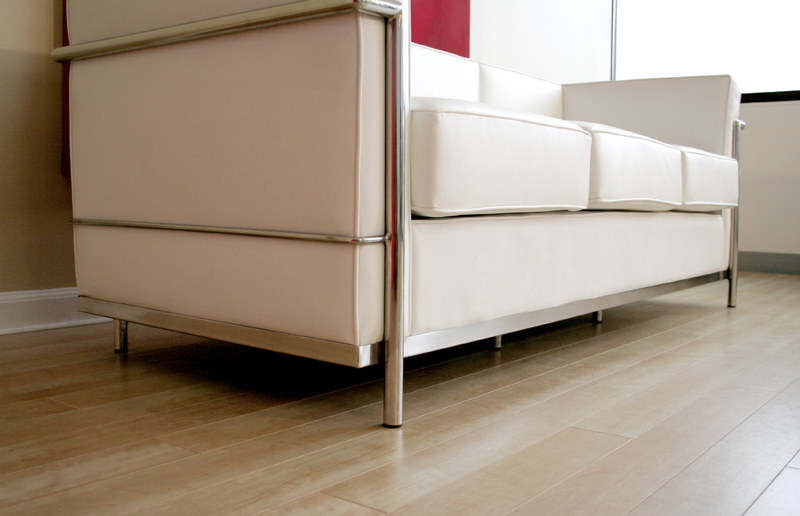 Sleek white leather and leather match upholstery. 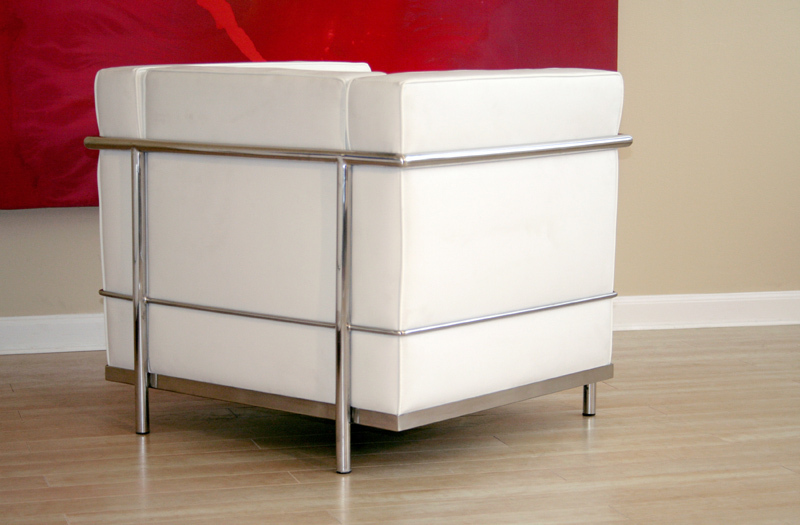 Unique block design with elegant piped edging. 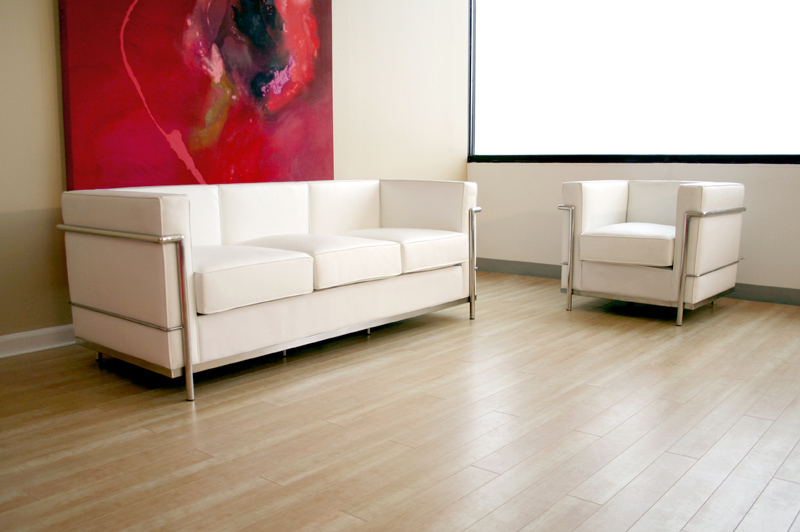 Comfortable high density foam fill.